As the Microsoft framework becomes more powerful (and more popular), the more important it will be to stay abreast of the latest news and updates. Luckily there is an entire ecosystem of teachers, writers, thinkers, and speakers that are dedicated to pushing .NET forward. You’ve surely come across a few of the big time .NET blogs already. Scott Hanselman is a leading voice for all things Microsoft, and Microsoft engineers themselves author the .Net Blog, which they update with news from inside the company. But there are other people you should keep your eye on, too. Microsoft MVPs, world-traveling speakers, and self-taught programming upstarts make up our list of top 10 .NET blogs to follow. These sites cover topics from across the .NET universe, including .NET Core, ASP.NET. C#, Razor Pages, and MVC. This definitive list will help you stay on the cutting edge of .NET. Ready to dive in? Mikesdotnetting.com covers all things ASP.NET and is authored by Mike Brind, a perennial Microsoft MVP for ASP/ASP.NET. If your goal is to keep up with the latest ASP.NET features, Mike is the guy to listen to. Recently he has spent much of his time covering the new Razor Page updates. Ode to Code is written by K. Scott Allen, a programmer and Pluralsight author who has over 25 years experience in the industry. Along with .NET Core, Allen often writes about ASP.NET and developing on Microsoft Azure. Every so often, Allen will provide advice for young programmers. Allen is also host of the Herding Code podcast. Is it any coincidence someone named Haack became a programmer? Phil Haack works at Github and has been blogging since 2004. Along with his interests in Git and .NET, Phil has a passion for open source projects. He also writes about leadership and management in the tech world. Iris is a Microsoft C# MVP with a unique history. Until a few years ago, she was a registered clinical dietician, but taught herself to program and never looked back. Iris hosts a regular video series called “(Not So) Stupid Questions”, where she takes a deep look at seemingly obvious topics in tech. Maarten Balliauw is a speaker, programmer, and technology advocate at Jet Brains. He often writes while on the road speaking at conferences around the world, covering lessons learned and the latest tech updates. Simone Chiaretta is a .NET web and Umbraco developer who has been busy lately writing his latest book, Front-end Development with ASP.NET Core, Angular, and Bootstrap (not yet released). Now that he’s done with it, we should see more articles on his blog. Code Climber is perfect for developers building web applications and sites on the .NET platform. Code Opinion is authored by Derek Cromartin, a Microsoft Visual Studio and Development MVP. CodeOpinion is perfect for .NET developers interested in architectural patterns like CQRS and Event Driven; and developing HTTP APIs. He covers these topics and many more on his blog as well as his Youtube channel. 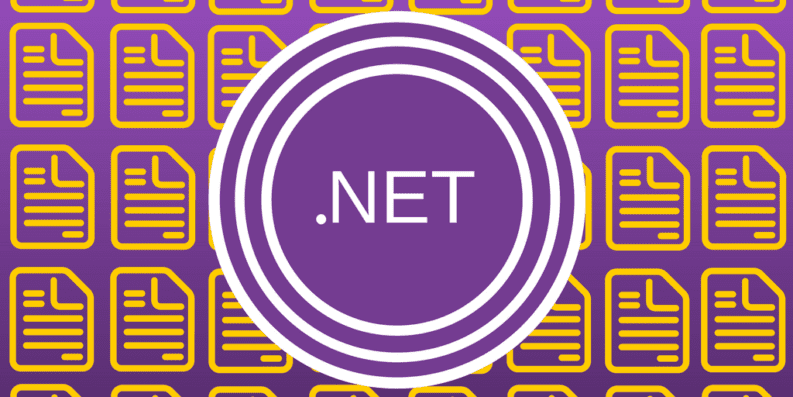 Jakub Choudounsky’s Medium page is chock full of fantastic advice and information about .NET. His site is perfect for programmers that like to learn new things, get under the hood of core concepts, and get the basics right. Jakub also runs a popular weekly newsletter, C# Digest. Check it out and subscribe. Matt Warren is a regular speaker and blogger covering .NET, CLR, and C#. His blog is great for .NET developers who are particularly interested in how CLR and CoreCLR work. For starters, check out Matt’s article, Hitchhiker’s Guide to the CoreCLR Source Code. We’re kind of .NET nerds. It’s why we built our products on .NET and cover .NET frequently on the Stackify blog. If you’re developing on .NET, download Retrace, our all-in-one metrics, errors, logs, and monitoring tool.